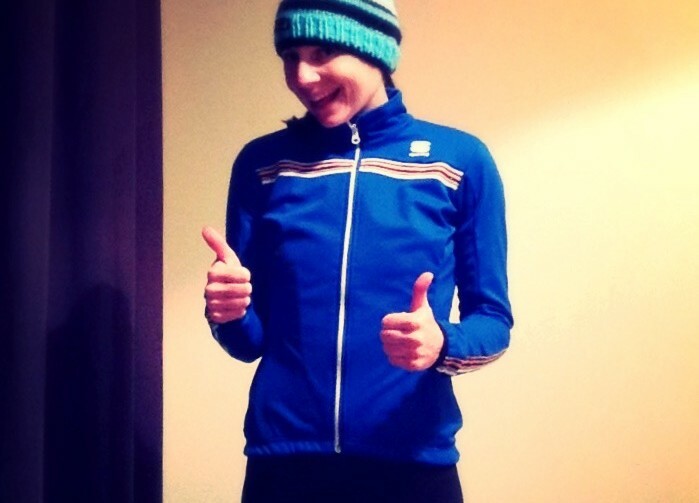 As we head into the depths of winter, I’ve got a whole Sportful ensemble to review. Here are some of my first impressions. Until a few months ago I had never heard of the Sportful brand, I first came across them whilst looking for some arm warmers that were going to be suitable for racing in wet conditions. It was here that I stumbled across Sportful’s NoRain range, having read the product description it’s fair to say it sounded like it was going to do the job so I put it to the test. The Holme Valley Wheelers 2-day final stage was in torrential rain, and the arm warmers were absolutely superb with their water repellent coating working to full effect. The Sportful brand was founded in Italy in 1972, originally from a skiwear background, and once you try on the goods you can tell that they have developed the product with the weather elements taken into consideration. (We did a recent blog about the origins of Sportful if you’re really interested). As soon as the word “Italian” is mentioned most riders cringe thinking “what size am I going to be? Does it come up small? How many sizes do I need to go up?” Unlike other Italian brands Sportful stuff fitted just as it should. There was no having to mess about going up or down sizes, just plain and simple follow-the-sizing-chart and you’re away. The first selling point for me with this jacket is the colour. It was nice not to be either bombarded with “Girls wear pink” or all black. In the winter months, when light isn’t great, it’s fair to say you can sometimes come in for a lot of criticism for wearing dark colours. Which is why it was thoroughly refreshing to have the Allure Softshell in a really nice blue colour with a knit colour band around the top. I could absolutely rave about how much I love the styling of this jacket. For once there is no cut which is half way up your stomach, something a lot of female cycling clothing manufacturers seem to go for. The front is full length which means that if you are long in the body this is great. The second thing is that the sleeves are full length, not riding up half way your arms which during the winter is the last thing that you want. The inner fleece is soft and comfortable to the touch. General first impressions are pretty good. I was particularly interested in the Fiandre range of stuff. It’s named after one of the toughest spring classics (Tour of Flanders) due to the unpredictable nature of the weather. 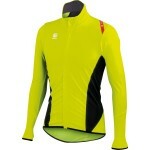 The Fiandre Light NoRain jacket is available in either fluoro yellow or black. For my own needs and doing winter chaingangs at night, I want to be seen whilst out riding on the road to training so I opted for the fluoro colour. The first thing you notice about this jacket when you put it on is how lightweight it is. It packs easily into the Allure softshell. The jacket has a zipper for access to jersey pockets which is a great idea for long rides as it takes the hassle out of having to roll a jacket up every time you need a bar or snack from your pocket. This has to be one product that I am particularly looking forward to properly testing. This particular NoRain Bibtight model may well be from the men’s range but I only wear men’s bibtights. When putting on the bibs the comfort and feel of the material is lovely, they have the same fleece-type feel to what the NoRain arm warmers I initially trialled had. The chamois is comfortable and does have variable padding which is noticeable. My first set of waterproof gloves came from a wetsuit shop for surfers! It’s great to see that neoprene gloves have now made it to the cycling market and now have adequate padding and silicone grips for when your hands are on the bars. The long cuff on the Neoprene Cycling gloves means that you don’t have to worry if your waterproof rides up slightly, you’ve still got the length there, which is great. 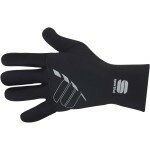 The gloves slide on to your hands really well and feel comfortable to the touch. First thoughts are that it does not have the ergonomics of some headbands with lots of shaping around the ears and front of the forehead. 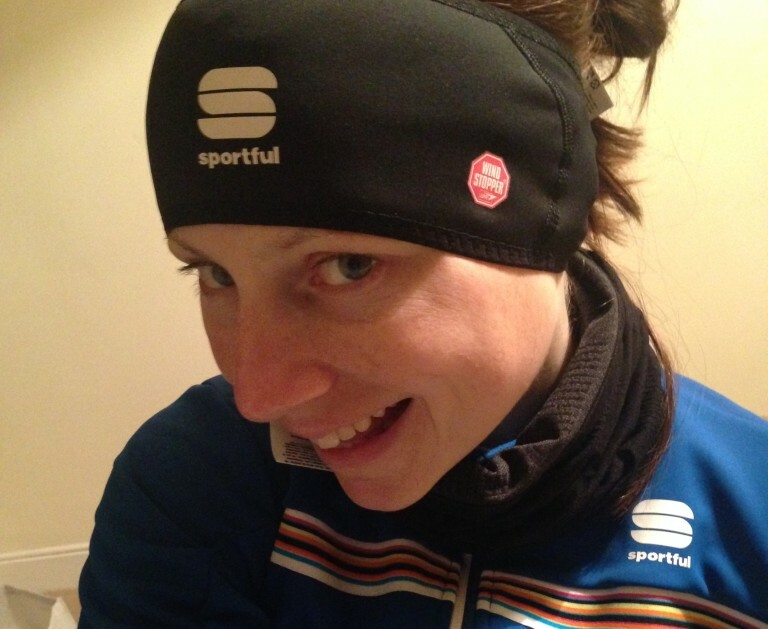 The Sportful headband (this is an old post and the linked content no longer exists) is the pretty much same width the whole way round. The principal thing I would potentially change about the design of this product is the positioning of the logos, whilst the Sportful logo is central to the band the small windstopper is slightly to the left meaning if you’re slightly OCD it is liable to play on your mind! Pretty much one of those products that does as it says on the tin (see pic above). It does not have any fleece lining so it will be interesting to see how it handles in different temperatures. The Neck Warmer (this is an old post and the linked content no longer exists) fabric itself is nice and soft to the touch and has varying fabrics which will allow for easier breathability and wicking of the product. There is the option of the Windstopper Reflex booties in fluoro yellow or black. It will be interesting to see how the yellow ones fair with the removal of any winter muck splodges. I am a size EU41 and the medium overshoes were a perfect fit. I have shoes with a ratchet mechanism which can sometimes prove troublesome when putting them on, however the full-length zip and pull-tab on the heal allows the overshoe to slide on with relative ease. I’m a big fan of overshoes with just a small hole for the cleat and heal plate, with the rest being covered which is something that is applied to this overshoe. On first fitting the inside is warm and hopefully will hold up to the job on cold rides. Lots and lots of test riding! I have to say I am really looking forward to now getting out on the road and trialling the full range of Sportful clothes. I’ll be reporting back with Part Two next week with any luck. Tagged autumn, bex, bibtights, booties, fiandre, gloves, headband, italian, jacket, jersey, neck warmer, overshoes, review, softshell, sportful, Winter. Bookmark the permalink.